Stainless steel high alloy high-temperature steel. The basis of the alloy is iron. Composition alloyed with chromium, Nickel, manganese, silicon,. Used in the production of strips, tubes, pipe fittings, valves, and similar parts operating at t° to 950 °C at moderate voltages. Weldability without restrictions. This heat-resistant alloy, which is an alternative to AISI 310. High resistance to the sulfur in the oxidized environment. This characteristic of alloys with reduced Nickel content in the composition. Offer to buy stainless pipe, wire, circle: specialized warehouses supplier Evek GmbH with delivery to any city. Full compliance with the international quality standards. Supplier Evek GmbH offers to buy the pipe, wire, round alloy 253 MA -1.4835, the price is optimal in this segment of the rental. 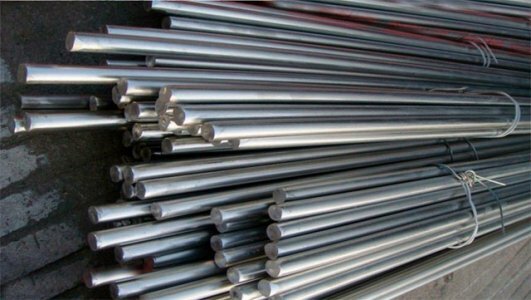 We offer pipe, wire, round alloy 253 MA -1.4835, the price is determined by the technological features of production without the inclusion of additional costs. You can order products in non-standard settings. We have the best ratio of price and quality for the entire range of products. In the segment of heat-resistant stainless steel company Evek GmbH — best supplier.